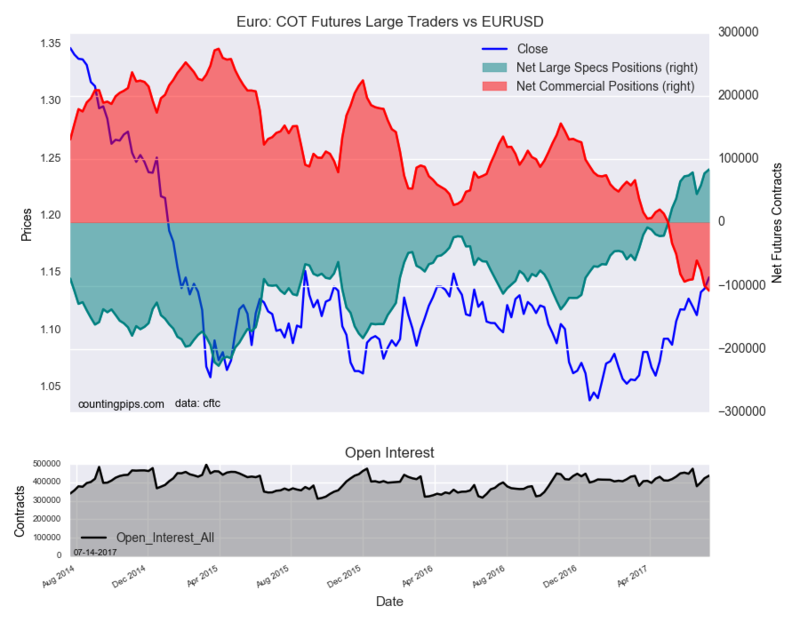 The latest data for the weekly Commitment of Traders (COT) report, released by the Commodity Futures Trading Commission (CFTC) on Friday, showed that large traders and currency speculators continued to reduce their bullish bets for the US dollar last week. 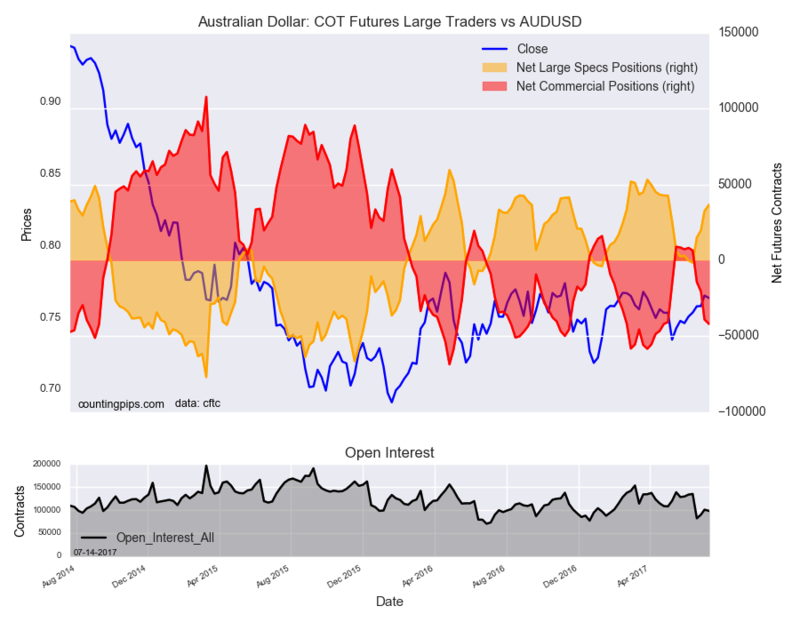 Non-commercial large futures traders, including hedge funds and large speculators, had an overall US dollar long position totaling $62.5 million as of Tuesday July 11th, according to the latest data from the CFTC and dollar amount calculations by Reuters. 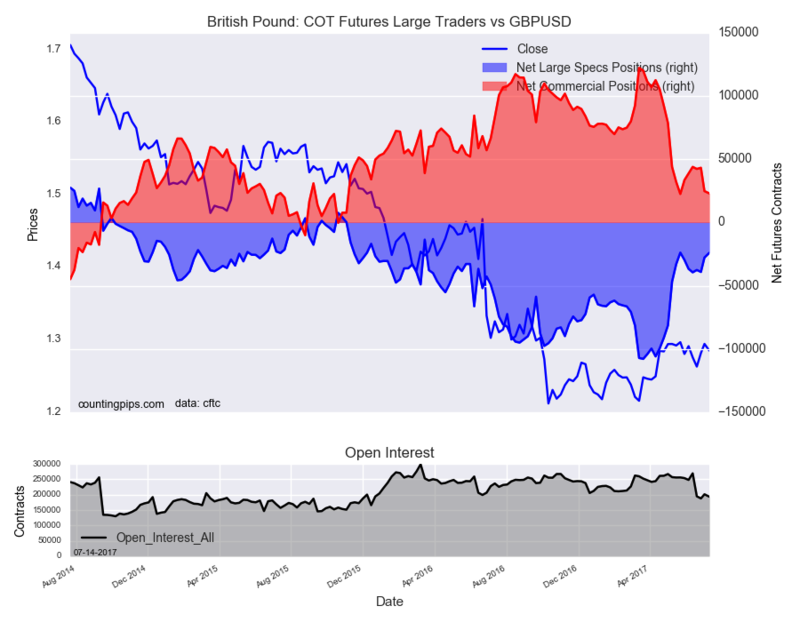 This was a weekly decline of $-72.5 million from the $135 million total long position that was registered the previous week, according to the Reuters calculation (totals of the US dollar contracts against the combined contracts of the euro, British pound, Japanese yen, Australian dollar, Canadian dollar and the Swiss franc). 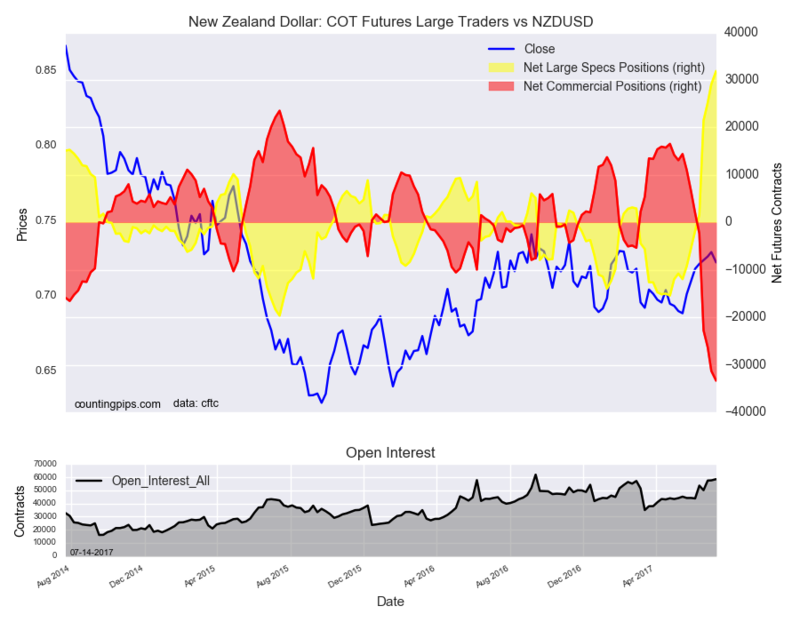 The US dollar bullish position has fallen for three straight weeks and is now at the lowest level since the last time the total position was negative ($-4.19 billion) on May 17th 2016. 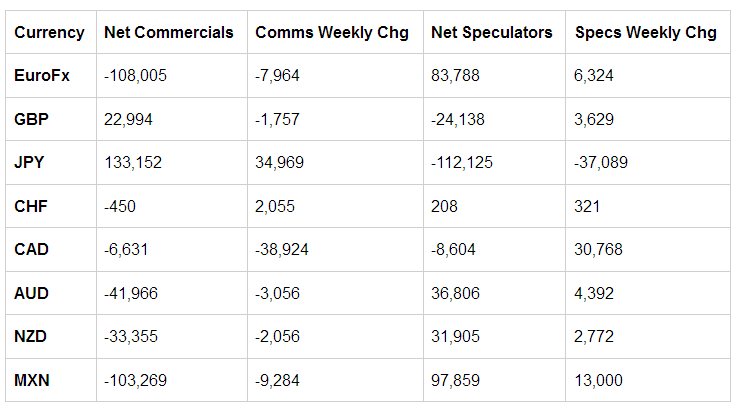 The individual major currency contract levels had some major movements this week with three major currencies seeing weekly changes above the 10,000 contract mark. 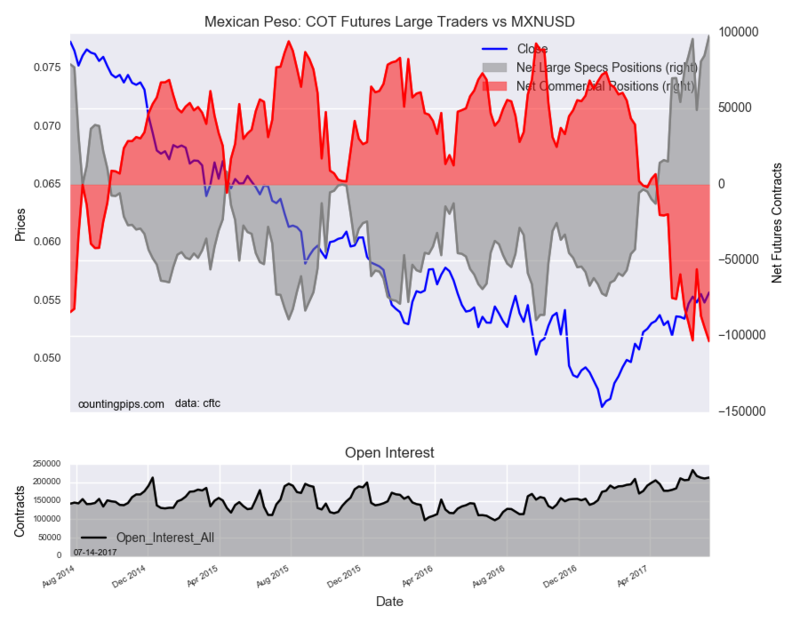 Mexican peso bets rose by +13,000 contracts this week to a net position of 97,859 contracts. 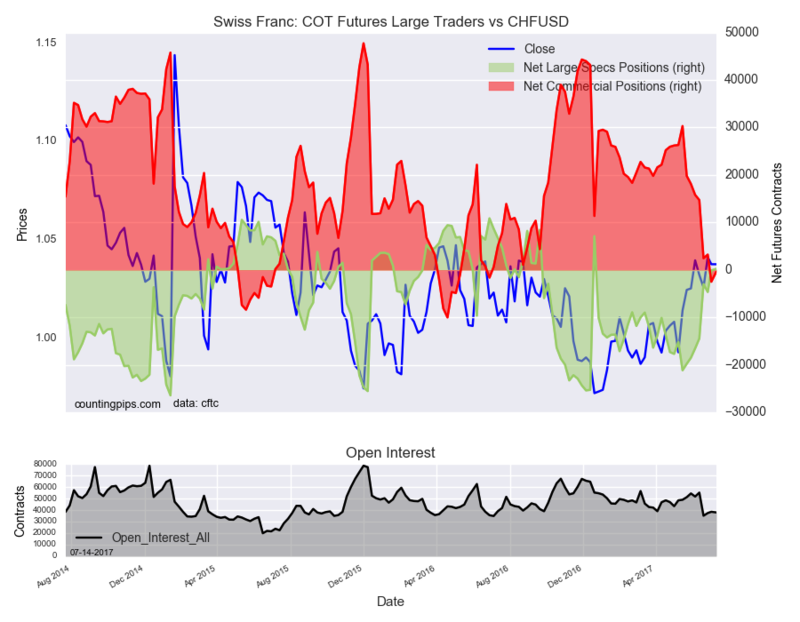 This is the highest net standing since May 28th of 2013 when positions totaled +120,864 contracts. 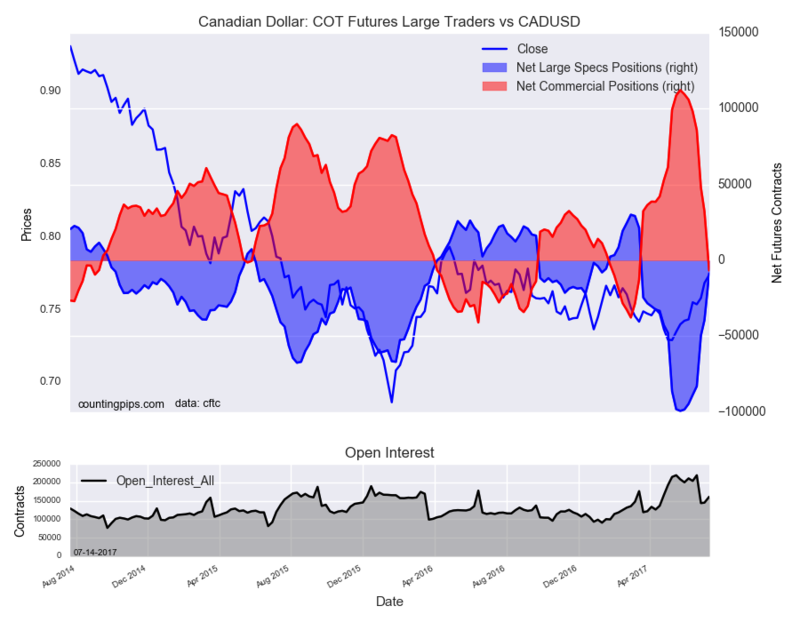 Canadian dollar positions jumped by over +30,000 contracts and rose for a seventh straight week to a best spec level since March 14th. 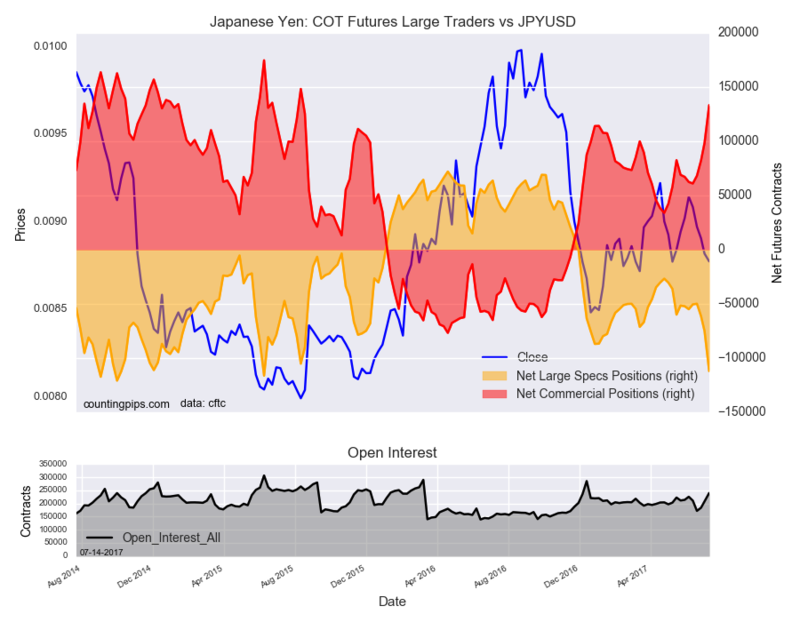 Japanese yen positions, meanwhile, dropped sharply by over -30,000 contracts and fell for a third straight week to a net position of -112,125 contracts. This is the most bearish yen level since June 9th 2015 when positions totaled -116,286 contracts. Overall, the major currencies that improved against the US dollar last week were the euro (6,324 weekly change in contracts),British pound sterling (3,629 contracts), Swiss franc (321 contracts), Canadian dollar (30,768 contracts), Australian dollar (4,392 contracts), New Zealand dollar (2,772 contracts) and the Mexican peso (13,000 contracts). 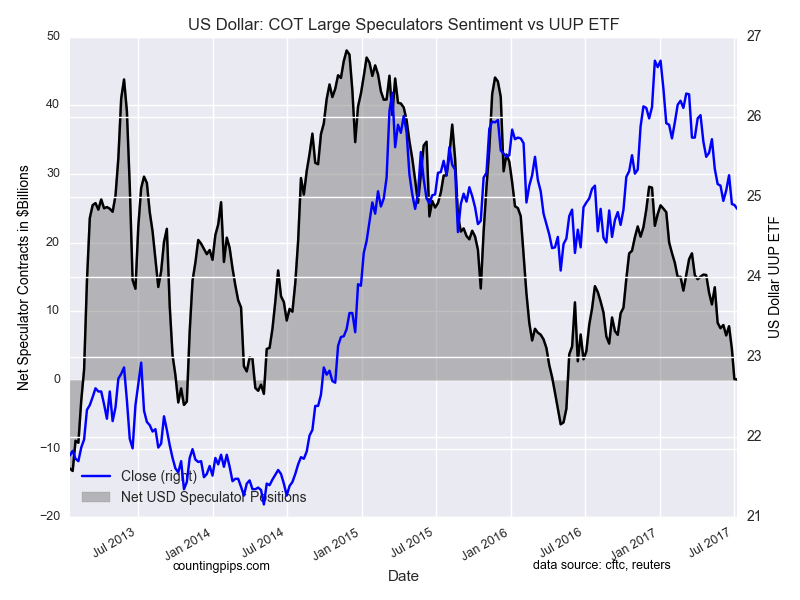 The currency whose speculative bets fell last week versus the dollar was just the Japanese yen (-37,089 weekly change in contracts).